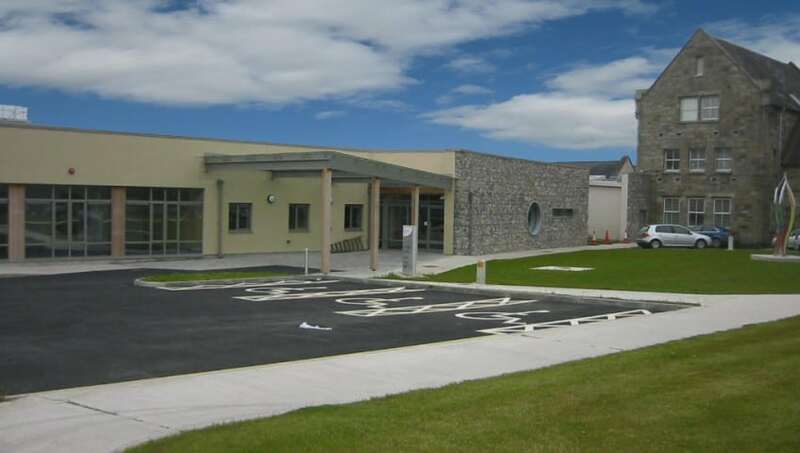 Dungarvan Community Hospital – Duggan Brothers Ltd. This project located within the environs of the existing functioning hospital complex involved the construction of a new 32’ bed Community Hospital, together with a 15 bed Day Hospital, alterations to the existing buildings, a new Waste Storage & Handling Compound and new link connections from the new hospital into the existing building. The works were carried out on a phased basis. All phases required particular attention to services coordination and Client liaison in order to ensure the continued undisturbed running of the hospital facility. The main structure of the building consisted of struc­tural steel roofing and cladding on loading bearing blockwork. The works also included extensive site development works including a new road layout, landscaping and 66 new parking spaces.